I think that Christmas candies are enjoyed for several reasons. There are certain Christmas candies that I love because of their flavor, their are other that I love because of their appearance, and there are some that make their way to our holiday plates merely out of tradition. Fudge is a bit rich in texture and flavor for my preference, but in our home you must make at least one batch. Divinity is the Christmas treat that I always yearned for as a little girl, but never received, due to burnt out mixer motors. And Toffee is one treat that I leave up to my mother, because mine never seems to turn out just right. 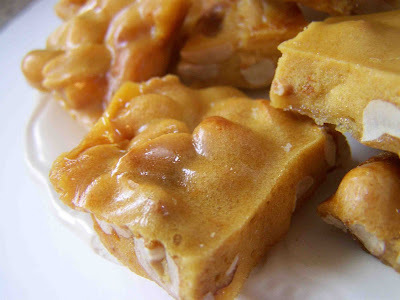 While peanut brittle hasn't been a candy that is traditionally found on my own personal candy plate, it seems to be a Christmas staple. My sister in law was kind enough to share her family recipe with us. Combine sugar, corn syrup, water, and salt. Cook to a full boil. Add peanuts. Cook until syrup is browned, but not burnt. Add baking soda. Leave on heat until foamy, and syrup is a golden brown. Quickly turn out onto a buttered pan. Allow to cool. Crack into pieces. Note: This makes a relatively small batch. If you are making this recipe for a crowd, you will want to double or triple the recipe. I think that the key aspect of this recipe is ensuring that the mixture doesn't burn. It seems that sugar syrups can quickly go from a nice golden brown, to a sticky and stinky clump. 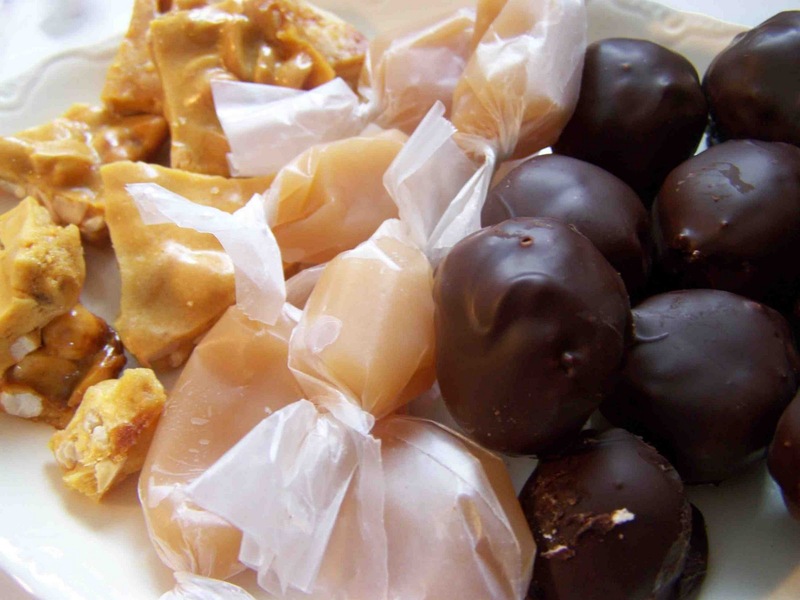 Peanut brittle, homemade caramels, and coconut bon bons. Oh how I love Christmas. 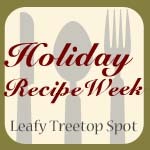 Check out all of the wonderful holiday recipes at the Holiday Recipe Link Party. Be sure to link up your favorite recipes as well. I featured you today! Happy Holidays! I feel so silly that I've never had peanut brittle before! I must be missing out because this looks amazing! Yum! 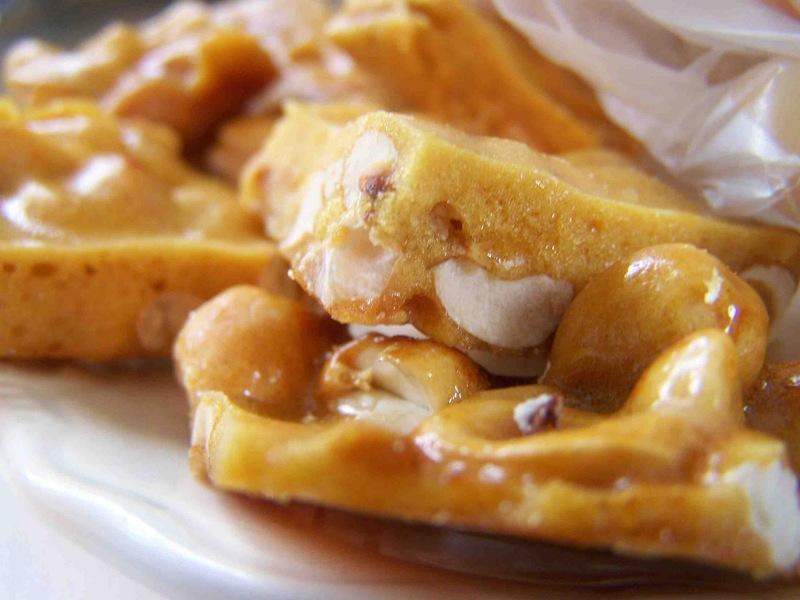 I can't believe we forgot to add peanut brittle to our baking list! 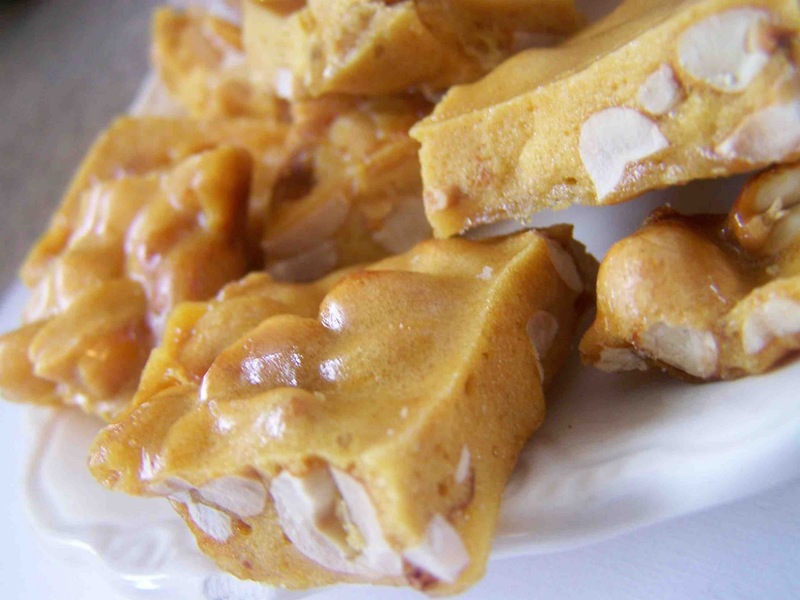 We're doing a Christmas cookie link up, would love for you to add your peanut brittle! Thanks! Wow, these were easy, quick and very good. Thank you for sharing this one, it is definitely a keeper.